Dogs have played and continue to play a large roll in the safety of our national citizens. 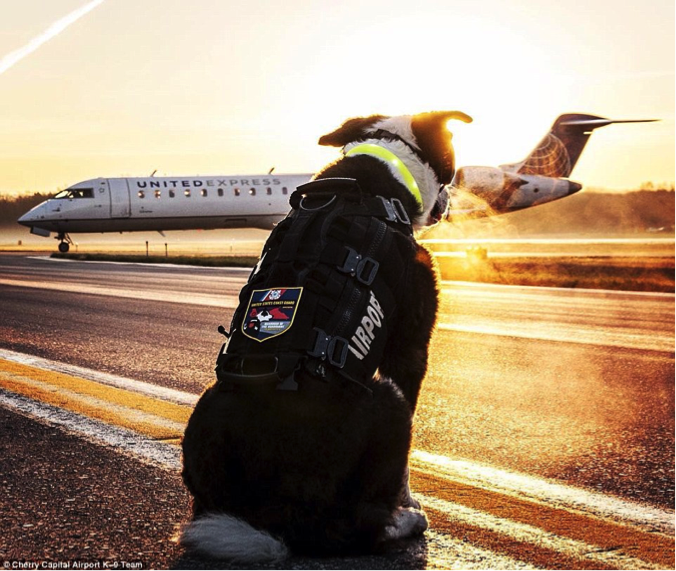 1000’s of dogs serve this nation everyday working as Military dogs, Customs dogs, Search and Rescue dogs, Border Patrol dogs, Police dogs, Secret Service dogs, Airport Security dogs, FBI dogs and many more. 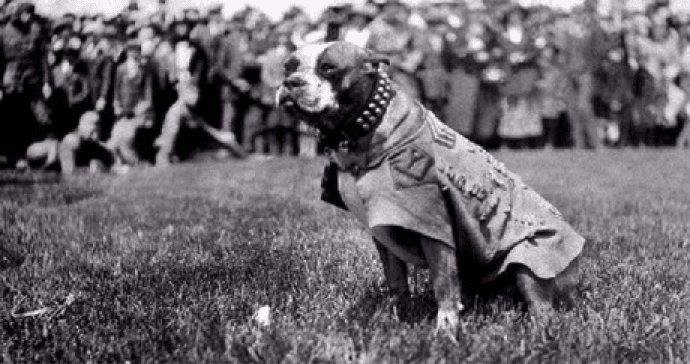 STUBBY, was an American Pit Bull Terrier and one of our nations most fearless pups. 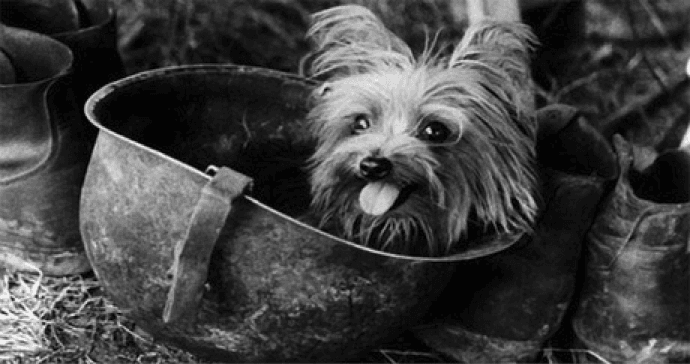 Stubby participated in 17 battles, four offenses and of course doing what dogs do best brought the troops great morale during WWI. With his keen senses of smell and hearing, Stubby was able to warn his unit of poison-gas attacks, incoming artillery fire and locate and hopefully save wounded soldiers on the battlefield. Stubby died in 1926. Stubby & Smoky paved the way for our service dogs today. Meet Piper, the Border Collie from Michigan. 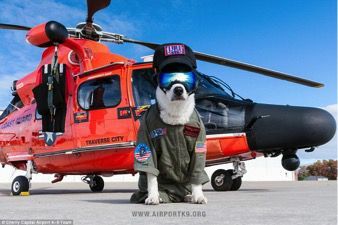 Piper is a hardworking pooch that does his job diligently at the Traverse City Airport, keeping the landing strip clear and safe from birds and animals that might pose a serious threat to pilots attempting to land aircraft. Because birds and animals can pose a major threat to aircraft landing, many airports employ sirens or pyrotechnics to keep the risk lowered, but Piper, trained by Operations Supervisor Brian Edwards has the God given training to seek out rodents and other small mammals living around the airstrip. By lowering the number of these rodents in the area, it decreases the amount of circling birds of prey from above the landing airstrip – keeping the aircraft save and sound to land. 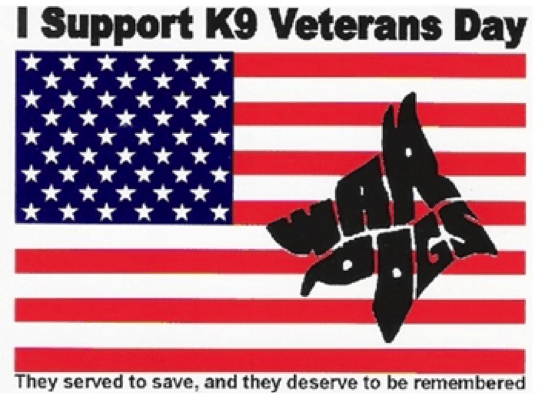 This March 13th, let’s remember our K9 friends and family who served and continue to serve for us today – Let’s remember K9 Veterans Day.